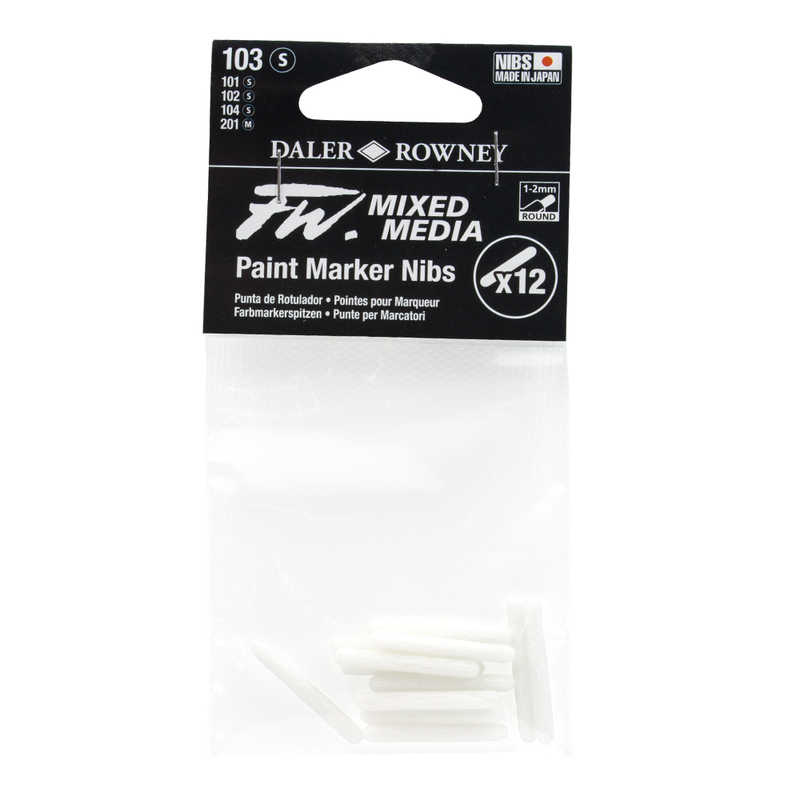 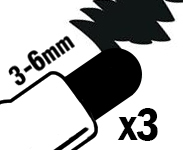 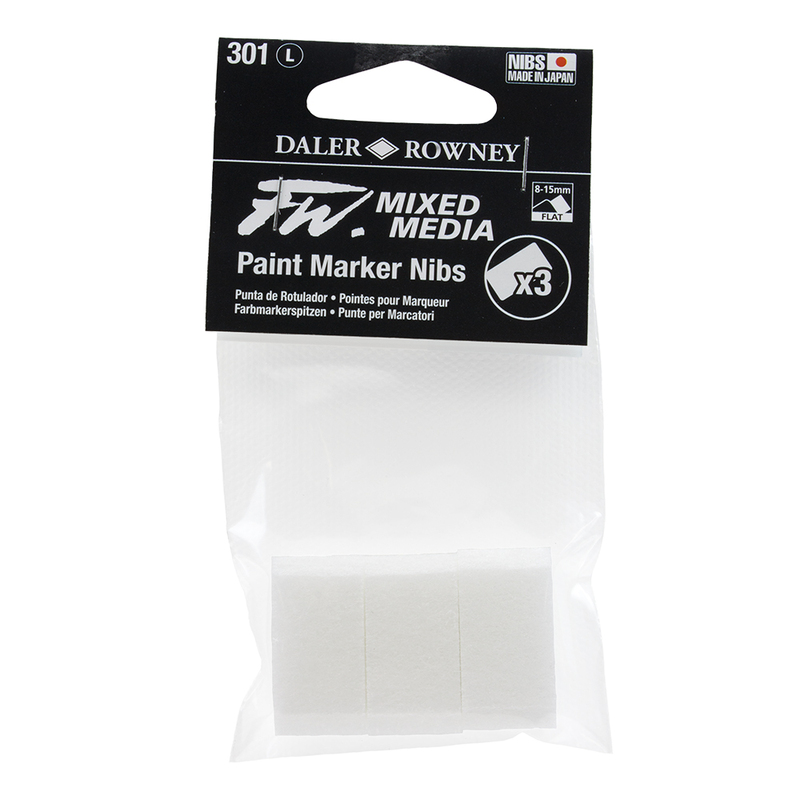 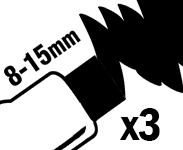 These packs contain spare nibs for the Daler Rowney FW Mixed Media Paint Markers. 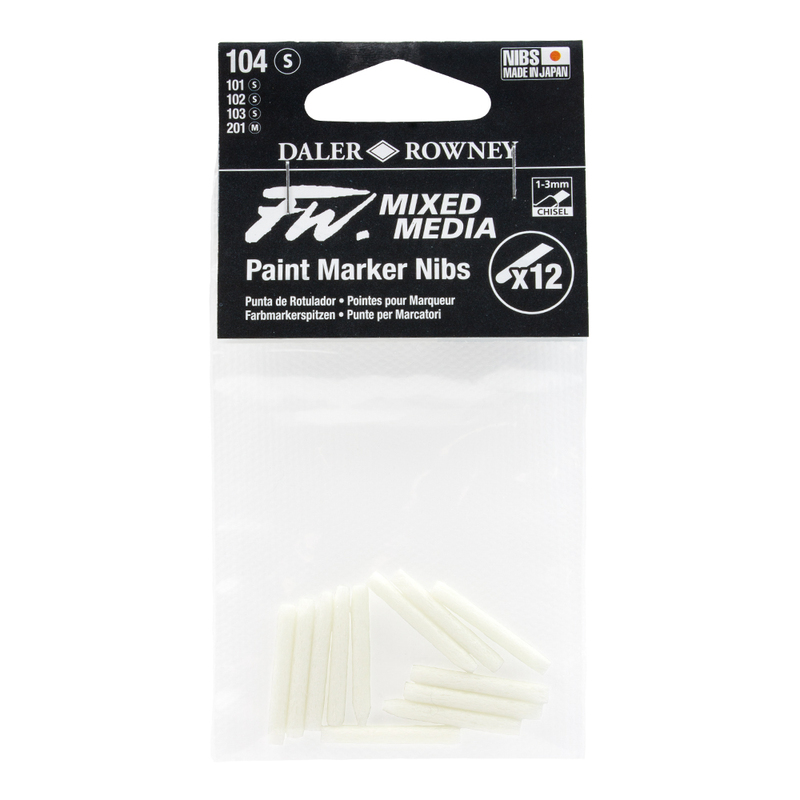 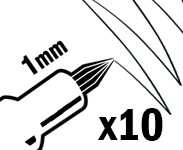 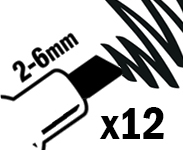 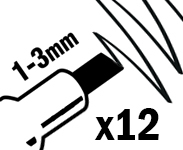 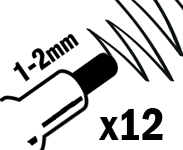 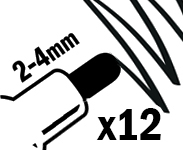 FW Mixed Media Paint Markers are refillable and so allow inks and other liquid media to be applied with precision across a wide variety of nibs and sizes. 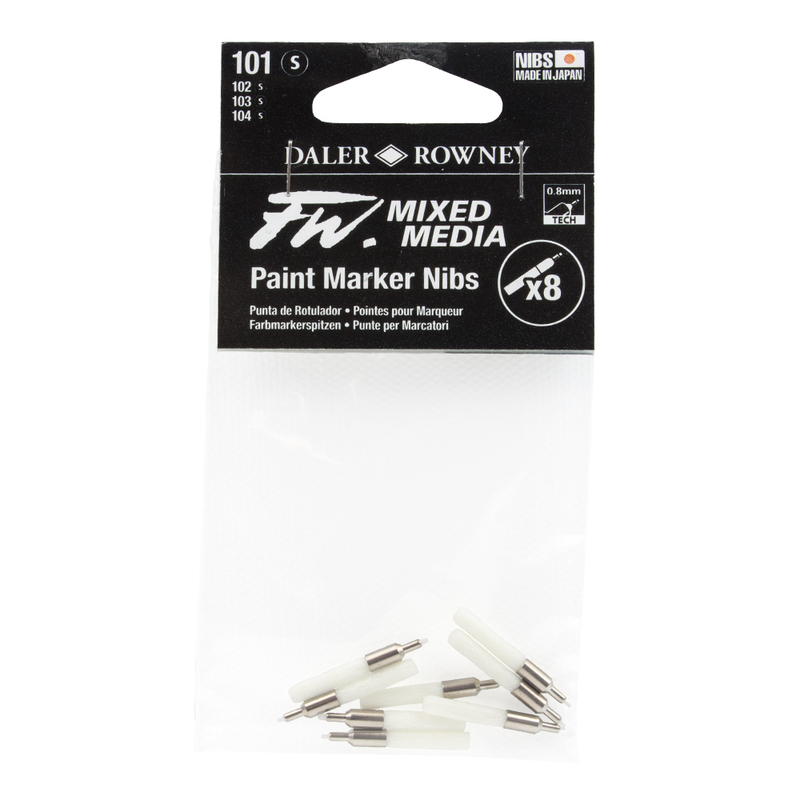 Ideal for use with FW inks, the markers are also suitable for use with other ranges including watercolours diluted with water, Liquitex inks and drawing inks etc. 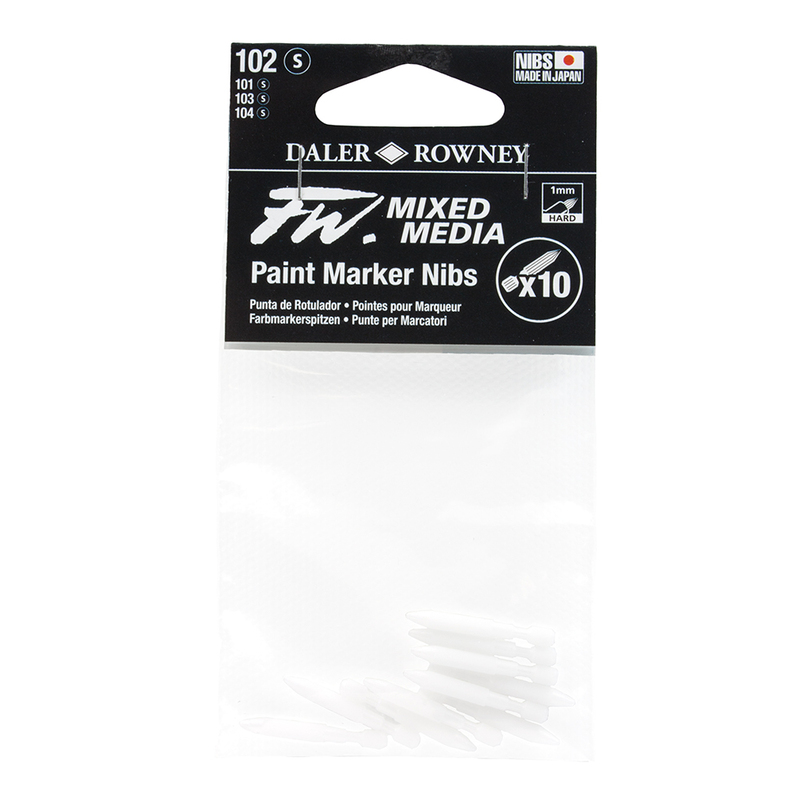 The FW Paint Marker can also be used like a water brush and can be used with inktense blocks or watercolour pencils. 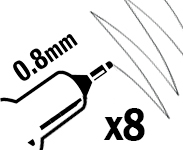 These nibs are not recommended for use with pearlescent inks as they contain tiny particles that can block the fibre tip. 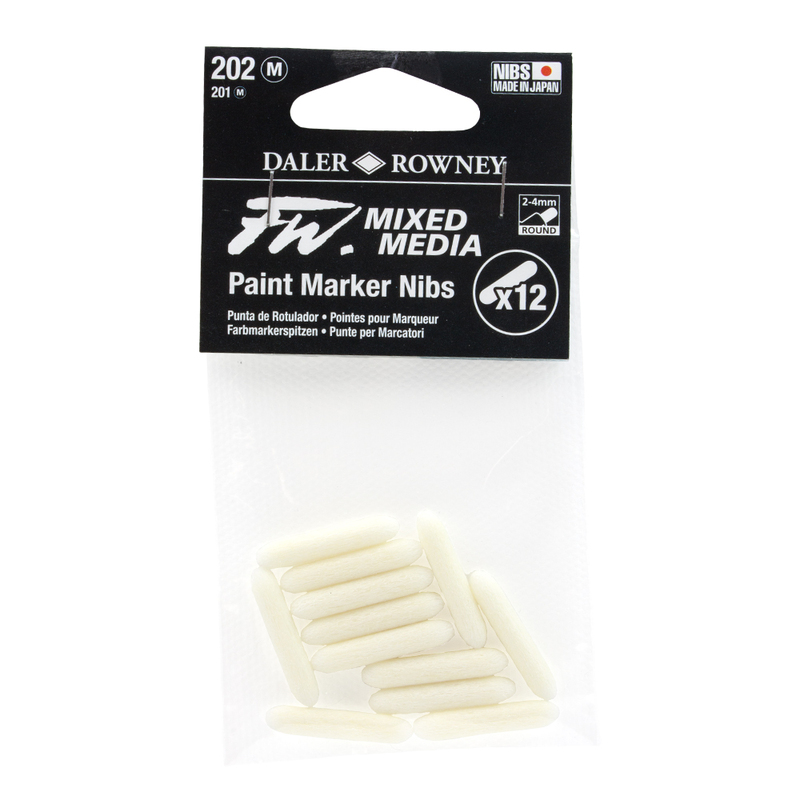 Click on the link to see our range of Daler Rowney FW Mixed Media Paint Marker Sets.